"Early Settlers of Orange County- The McElroy Family." Buried Treasures 33, no. 4, 69-71. Accessed January 31, 2016. http://www.cfgs.org/images/files/quarterly/bt200112_cfgs_quarterly_vol_33-4.pdf. 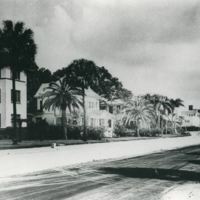 “McElroy Apartments.” RICHES of Central Florida accessed April 20, 2019, https://richesmi.cah.ucf.edu/omeka/items/show/7867.